You can see social networks icon in footer (look at below image). You can show/hide them also manage their location. 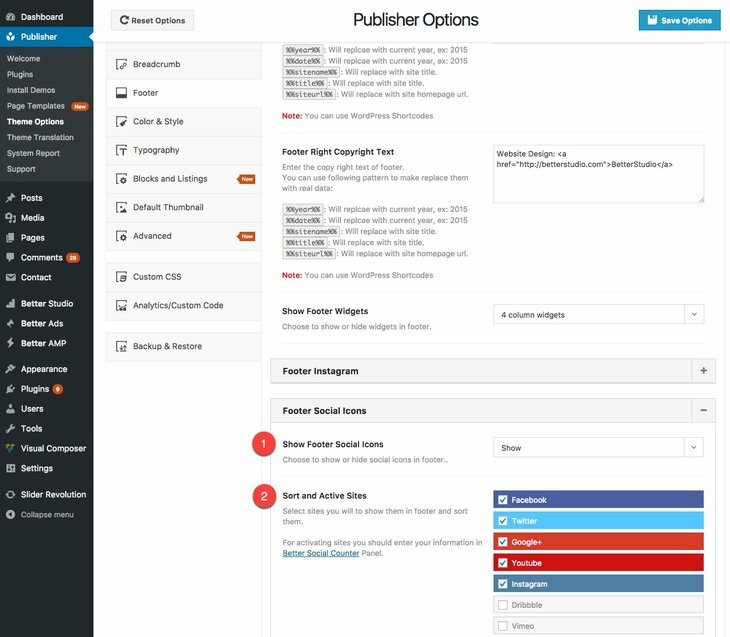 Go to Publisher → Theme Options → Footer → Footer Social Icon. 1- Show Footer Social Icons: Choose to show/hide social icons in footer. 2- Sort and Active Sites: Here you can select which icons you want to show and arrange their position just by drag and drop. For customizing your social networks, go to Better Studio → Social Count.